The consumer research, undertaken by the British Chiropractic Association (BCA), analysed trends in back and neck pain over the last five years. The findings showed the proportion of people in the region experiencing pain each week has risen from 39% to 44%. The most common triggers for back and neck pain, a condition affecting 79% of Londoners, have also changed. The number of people pointing to their job as the cause of their discomfort has risen, now affecting almost a fifth (19%) of the London population. The number of people who find driving contributes to their back pain has also increased by 6%. Meanwhile, lifting and carrying heavy items, a trigger for 46% of Londoners’ back pain, remains the most commonly cited cause of the condition for the fifth year in a row. 3. Stay active: Physical activity can be beneficial for managing back pain, as a stronger body can cope better with the demands you make of it, however it’s important that if this is of a moderate to high intensity that you warm up and down properly to get your body ready to move! If a previous injury is causing you pain, adapt your exercise or seek some advice. Activities such as swimming, walking or yoga can be less demanding on your body while keeping you mobile! The BCA recommends that, if you are experiencing pain for more than a few days you should seek professional help, for example from a chiropractor, who can assess you and help you to get moving again without pain. As forward-facing animals it’s not surprising that we humans get overly concerned with what’s in front of us. As a consequence, a lot of our daily routines and exercise regimens can become restricted to very linear, one-directional patterns of movement, creating imbalanced and uncomfortable habits of tension and weakness in our bodies. Days spent hunched over a desk, phone, or steering wheel; carrying heavy bags or children; driving, walking, running or cycling; always going forwards, forwards, forwards… It all has the effect of closing up the front of the body, tightening the muscles of the chest, shoulders, waist and legs, whilst weakening the muscles of the back: those bigger muscles either side of the spine, but also the tiny postural muscles that provide vital support and mobility within the spine itself. As these patterns and habits become ingrained, it becomes impossible to fully realize the healthy range of mobility that should be available to us. Muscle pairs can become imbalanced – some increasingly tight and tense, whilst others weaken and fail to switch on. These sorts of imbalances can potentially even pull the skeleton itself out of natural alignment. 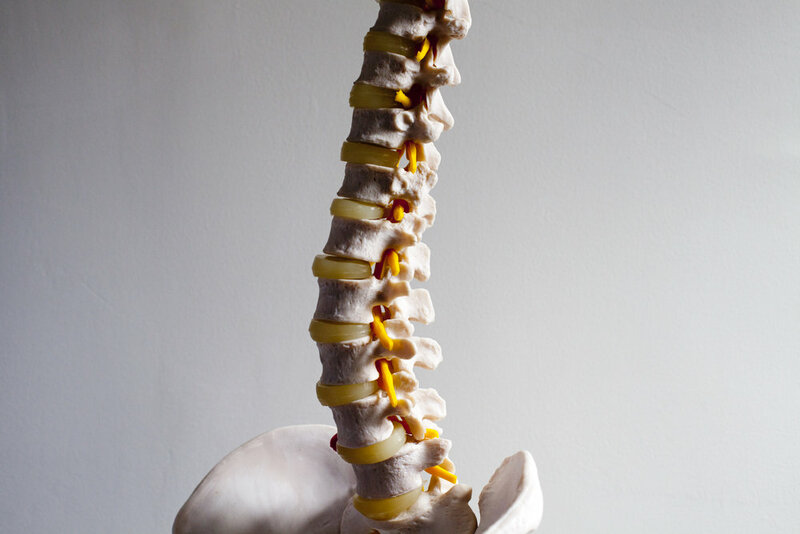 The normal, neutral curvature of the spine becomes exaggerated, resulting in an excessive rounding in the upper back (kyphosis), or over-concaving in the lower back (lordosis). We feel hunched over, tired, stressed and tense, and over time chronic pain in the neck, shoulders or lower back can result. One of the joys of a regular yoga practice is the transformational rediscovery of our deep-seated potential for multifaceted motion. We have a spine that can maneuver 360 degrees through 3 planes of alignment - not only forwards and backwards, but also from side to side, in rotational twists, and then through all sorts of combinations of those movements. The yoga practice flows through all of these planes, exploring a healthy range of mobility in each limb, whilst also working to balance and enhance a strong, supple, interconnected musculature that supports and allows such motion to feel safe and stable. Which Poses Should I Use? In particular, the yoga poses that most obviously break with linear, forward-facing patterns are twists, side-bends and back-bends. In my classes, I incorporate these movements to mindfully explore the space above and behind us, encouraging new perspectives and creative ways of moving, strengthening around the spine, enhancing posture and breath-capacity, and all whilst brightening the mood, stimulating the nervous system, and clarifying the mind. Suddenly the body feels more alive, supple and buoyant, you wake up every morning more comfortable and spacious, and you begin to challenge your preconceptions about what is possible and maybe even what is normal! Then it’s time to BOOK YOUR SPOT in our Yoga Improvers: Explore From Your Core! workshop this weekend! We will build through an invigorating sequence in preparation for the body to weave itself into deliciously deep twists, binds, back-bends and beyond. Whilst opening the shoulders, chest, and side body, we will also cultivate a strong and powerful core, the centre, from which and around which we can move, expand and explore our natural range of motion with intention and curiosity. Using props and partner-work there will be time to break down and work towards those more challenging twists, binds and backbends from the yoga asana practice - including standing, seated, balancing and inverted poses - leaving you plenty of ideas to take back to your self-practice, weekly classes and daily life. To celebrate Mother's Day we've put together a little video (with new mum Estelle and her baby Sammy) to talk about health and wellbeing post-baby and how chiropractic care helped.